Science vs. Art- is it really all that different? Why do we insist on believing that the analytical mind is devoid of creativity while the artistic mind is completely governed by emotions? Even though the brain has different hemispheres that are responsible for different functions is it not still one organism working together? Do we have to be resigned to believe that we are either right brained or left brained? Is it our conditioning? Is it our genetics? 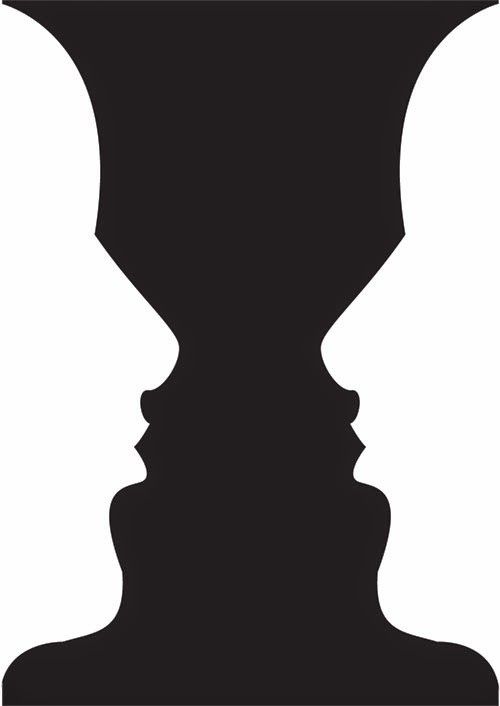 Why does one person see the cup half empty and another see the cup half full? I have to think that the only real difference is where people place their attention. The analytical person sees function and process where the artistic person sees form and substance. Is this an inherent trait governed by dna and genetics? Hard for me, the non-researcher to know. But I know this: perception can change if you shift the focus of your attention. Some years ago I was learning to meditate....to practice stillness. One day I decided to go to the local park and sit on the lawn and sit absolutely still for as long as possibly could. Seemingly an easy task this proved to be one of the hardest things I have ever attempted to do. I was aware of my mind going a zillion miles an hour for the longest time. I was consumed by my thoughts and completely oblivious to my surrounds....my thoughts dominated my existence in that moment. Then, as if by magic, my awareness changed. I suddenly became aware of the breeze, the sounds in the park and most dramatically the grass I was sitting on. Out of nowhere I saw a teeming ecosystem beneath my body....just beneath the top of the grass I was sitting on. It was obvious to me that I was missing out on life as it was happening all around me. My mind slowed resulting in a shift in my perception. The only thing that changed was the focus of my attention. Nothing else. I was in the same physical space, wearing the same clothes. I hadn’t moved...and I was unaware of the passage of time. I had entered a state of flow where anything was possible, where I saw unlimited choices. So perhaps creativity is nothing more than having the ability to perceive multiple options and using our mind in a different way to decide which choice would be the most satisfying or appropriate. The trick to creating on demand is training yourself to shift your awareness at will to enable a vast array of potential options to present themselves. In the meditation example it is clear to me that slowing the mind, focusing on the moment is the gateway to creativity. So, the challenge for the artist (or anyone for that matter) is to not think of it as creativity or something outside of their body. The challenge is to shift the focus inward to slow the rapid, patterned responses that govern our thinking mind. And, as you move away from the instinctual automatic mind your state of consciousness will shift and be replaced by seemingly infinite choices. Better not to try to game your art. Better to use the journey inward to enable the gift of abundance and infinite possibility.